Cultural appropriation: that ship has sailed! The question of whether anyone from one community can or ought to take something, in whole or part, that is the practice of another community, and use it as his or her own, is an issue that emerges, submerges, and reemerges. We would all, it seems, like hard-and-fast rules to tell us what we can take and on what terms, and what we can’t. But surely that is unrealistic? Cultures and the communities that sustain them have always been porous, transferring ideas, bringing their influence to bear on each other, sometimes one giving way under the pressure of another, but never standing still. Henry Reaburn’s 1812 portrait of Alexander Ranaldson MacDonnell of Glengarry, wearing a costume of almost total artificiality. In 1746, following the Battle of Culloden, the clans of the Scottish Gàidhealtachd, irrespective of which side they had fought on, were banned outright, by Act of Parliament, from wearing their native costume. This Act was repealed thirty-six years later, not at the protest of the dispossessed Gaels themselves, but at the instigation of The Highland Society of London, an organisation of English-speaking landed gentlemen and aristocrats of Scottish origin. By this time a generation of clanspeople had gone, and the habit of making and wearing their native dress had been all but lost – they were after all, only a peasant class and therefore insignificant. Soon great numbers of the people themselves would, as the eighteenth century gave way to the nineteenth, be forced out of their native glens and into coastal villages, or to the big cities of the central belt, or away to Canada. Meanwhile a commercial version of their tartan was being produced in the lowland town of Bannockburn, specifically for military use. In 1822, in order to stem popular radicalism in Scotland, novelist Sir Walter Scott and others arranged for King George IV to visit Edinburgh, and for him to be greeted by a pageant largely of their own invention. Highland dress was to be on display, worn by the Clan Chiefs – whose private life was now much less like that of their paternalistic forebears and more like that of English landowners – and by bands of such ‘clansmen’ as still could be mustered. The tartans they wore, specially designed by the company in Bannockburn, were largely the fanciful inventions of the Chiefs themselves. What we now think of as ‘Highland dress’ was a nineteenth-century invention. However, its artificiality did not stop its being adopted, in due course and merrily, by high and low as the national costume of Scotland. At weddings from Stranraer to Lerwick, on high days and holidays, and whenever the Scotland Rugby team is hosting a match at Murrayfield, you will see kilts and tartans. At Carter Bar, high in the Cheviot Hills where no native ever wore a kilt in antiquity, you will find a piper in Highland dress entertaining the tourists who stop at the English-Scottish border. Go much further afield and you will find the Pipes and Drums of the Chicago Police Department resplendent in their tartan kilts; even the hatbands that Department uses are in the ‘Sillitoe Tartan’ – actually a checkerboard pattern rather than a true tartan, but first used as a police identifier exclusively in Scotland until 1961. Meanwhile, back in Scotland, you can now buy Star Wars sporrans in the image of a Wookie. Now, I don’t say all this in a spirit of ‘me-too-ism’. I have simply picked it because it is close to home and readily researched, and more importantly, it illustrates a warp and weft of many complex systems. It is not a straightforward picture of a straightforward process. There are so many different attitudes on show, to what was once exclusive to the peasant culture of the Highlands – violent disruption, appropriation by a different class, misunderstandings and assumptions about its nature, gaps in knowledge filled in with invention, adoption as a national identifier, dissemination as a cultural export, re-importation with external influences, all these and probably more interwoven and difficult to unpick. I only know that I am no longer in a position to feel any direct resentment about this element of Scottish culture, if such a feeling in me could ever have been justified in the first place. I have both Scottish Lowland and Highland heritage, but I am who I am here and now. I am looking at a current situation which was not determined by a small number of great forces, but by billions of little ones; and history is a very fragile thing, within which we have no idea whatsoever what might have happened had one of those ‘little forces’ flipped. I had managed to get as far as that last paragraph without mentioning ‘the A-word’. Well, it had to come at some time! The term current for the adoption of a cultural asset across a social boundary is ‘appropriation’. Often, sometimes fairly and sometimes unfairly, it is a code-word for outright theft; unfortunately that connotation colours its entire use and too often enables it to be employed as an accusatory bludgeon. Whilst I will grant without reservation that there are points of contact between social and cultural communities that are understandably very tense – I am thinking in particular of the racial dynamics of the USA, where the subject of cultural appropriation is probably most hotly debated today – it would take, in my estimation, a very blinkered outlook to ignore the fact that we now live in a world almost entirely without walls. From our corner of the world we are able to see into all the others, in a way without precedent in history. The porosity of cultures has never been more obvious. The kids of a family in Wales paint their faces in Dia de los Muertos masks, a Tibetan exile makes Hip Hop videos, the presence of economic migrants in Scotland means you can buy Eastern-European food in the corner shops, every indigenous, folkloric, or local music can be searched on YouTube – the walls are down, people, the walls are down! The mechanics whereby culture travels are now almost entirely on the surface, and are intensified! Bobby Darin, one of the artists who recorded cover versions of black music. Is it not high time, therefore, that we say of ‘cultural appropriation’ that that ship has definitely sailed? I am aware that there are still sore places on the cultural body, such as the way in which, in living memory, mainstream American music businesses took and repackaged African-American music, and sold versions of it performed by European-Americans; but to me that says at least as much about the American strain of aggressive capitalism, in which anything which can be commodified will be commodified, as it does about the actual purloining of culture. Moreover, it is a particular case, not a representative case or a test case. Again, complex systems at work, from which it is difficult to narrow our scrutiny to a single point of principle. I am asking the question. I’m not seeking to close the debate, but to open it out, so please do not think that I am being heedlessly dismissive of your own particular concerns, whatever they may be. Maybe the proposition I have advanced will make you think again – or afresh – and find new reasons why this still seems an issue where we have to tread carefully. Maybe, on the other hand, your reappraisal will open the possibility that we can start to celebrate when our own culture rolls out beyond its former borders, no matter how that happened in the beginning. Let’s see. If you click here, you can read an interview with me, conducted by Robin Ouzman Hislop on behalf of Poetry Life and Times. I have reservations about carte blanche for appropriation. After all, an extension of the idea would make it in order to wear an official uniform to which one was not entitled, for example. Oh but they do, only not in the way you think. Roman writers commented on how Celts favoured ‘striped’ clothing; moreover there were remains found buried in the Taklamakan desert – identified as celtic, or at least ancient European – and those remains included a fragment of checked cloth. But none of the ancient celtic garments resembled what we know as ‘Highland’ dress. I am not advocating ‘carte blanche’, I am saying that copying, borrowing, call it what you will, is bound to happen. As for your analogy, that is precisely what happened in late Classical- early Dark-Age. 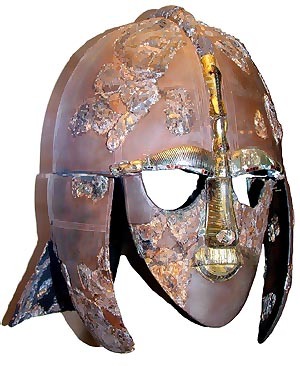 The typically Saxon ‘Sutton Hoo helmet’ was an attempt to copy Roman a roman cavalry helmet. The appropriation of superior equipment for killing or not being killed wasn’t quite the sort of culture I had in mind. Rather, the sort that represents the badge or emblem of a culture or achievement, without the qualifying criteria. I dare say you did. However, what I’m attempting to show is just how broad this subject of ‘appropriation’ can be. Both helmets were, more likely than not, ceremonial and signifiers of rank rather than ‘equipment for killing’, thus very much cultural items. I should point out that the main driver for the essay was the conversations I have been both having and reading on the subject of the Mardi Gras culture in New Orleans, and in particular the African-American ‘Mardi Gras Indian tribes’, with their cultural borrowings from Native Americans; the conversations extended to the participation of non-African-Americans in the Mardi Gras parade culture. The cross-cultural issues raised in that particular discourse are very interesting. I follow. It reminds me of some of the African cultures which have adopted into their dress and ceremonies Victorian concepts introduced by missionaries, such as in Malawi where the legs must be covered.